Spectacular opening Test Technology Center – Salland Engineering (Europe) B.V.
On Friday, September 14, 2018, Salland Engineering spectacularly opened its Test Technology Center in Zwolle! Salland Engineering celebrated the opening of its Test Technology Center on Thursday September 13 and Friday September 14 with an international technology symposium. Together with international customers, suppliers and business relations, the five largest players in the world of chip testing (representing 93% of the entire market) were present. 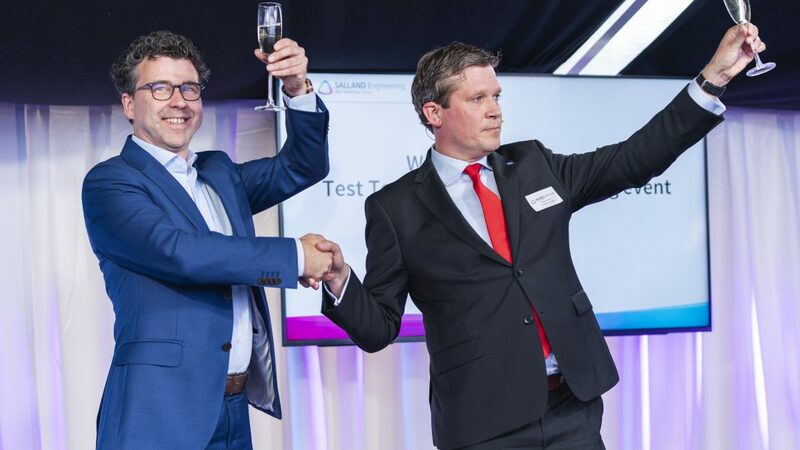 On Friday afternoon, the alderman for Economic Affairs in Zwolle, René de Heer, gave a keynote and – together with Paul van Ulsen – officially opened the Test Technology Center.